Searching for your first home is a very thrilling time but can also be puzzling. The majority of first time buyers don’t really know what they are looking for within their first home. 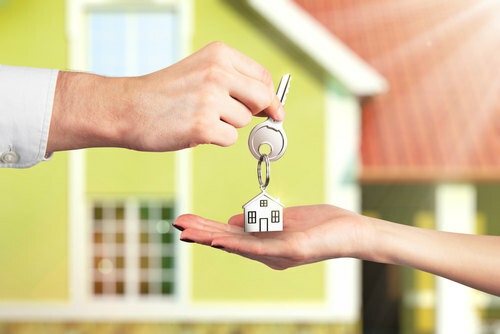 People can get carried away easily when it comes to searching for their home. It is very important that you take the time to figure out what you require as purchasing a property is a more permanent decision than say renting a house on a short term lease. When it comes to buying your new home there are other expenses to consider other than just the mortgage costs. It may be an idea to not max yourself out to your very limit, you need to allow for other overheads. For example council tax or if you are going for a larger home, make sure you factor in the cost of heating such a large property during the winter months. These can have a significant impact upon your monthly outgoings. It’s important not to overstretch yourself therefore finding yourself short of money each month. While you may not want to buy a house that’s too large for your needs you also need to consider your future. If you are planning on having a family within the next couple of years you will need to find a property to accommodate this, you will also need to contemplate other things such as local schools, are these likely to be somewhere you would want to send your child or would you want to relocate? You don’t want to acquire a property and then within the next year or so end up leaving it, if this happens you are more than likely going to end up losing money. One of my main suggestions when looking at the property itself it to ignore the superficial aspects and concentrate upon the floor plan. Is the house layout suitable for your needs? This is the first thing I look at. You need to think about what best suits your situation. Focus upon the things that you are unable to change. Paint colours or kitchen cupboards for example can always be altered once the property has been purchased and shouldn’t discourage you. If you are buying an older property check that there are no major restorations required, the last thing you need is a large bill for something as soon as you move into your new home. This article was written by Ceri Harris who is an underwriter for a secured loans company called Willows Finance Limited. The company is based in Wales.